Eight miles Northeast of the City of FM2634 lies 1,323 acre Lake Nocona. The lake has a maximum depth of eighty feet. Construction of the dam for the reservoir began in September 1959 and was completed in October 1960. Lake Nocona was constructed for municipal, industrial and mining purposes. 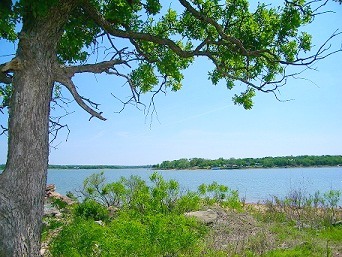 Lake Nocona offers many recreational opportunities! Three public parks are scattered around the shores of Lake Nocona: Weldon Robb Park, Joe Benton Park and Boone Park. All three parks feature boat ramps, restrooms, parking, picnic and camping areas. Weldon Robb Park and Joe Benton Park also have courtesy docks and Joe Benton Park offers handicap access. The lake provides an ideal fishing environment for many types of fish. Angling opportunities are excellent for largemouth bass, catfish and crappie. Fisherman also have a good chance of catching white bass, hybird striped bass and sunfish. 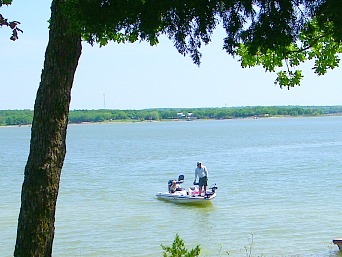 Lake Nocona is classified as the fourth-best bass fishing lake in Texas!